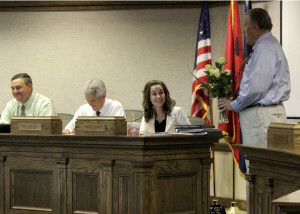 CEDAR CITY – Cedar City Council members and city administrators had a busy night Wednesday in council chambers that included discussion about RAP tax recommendations for 2015 disbursements, finalizing the plat for the Windmill Plaza Subdivision at the south end of Cedar City, and birthday celebrations. The meeting began with renditions of “Happy Birthday” for both City Manager Rick Holman and Mayor Maile Wilson, who share a birthday, but they quickly dove into the nitty-gritty of the occasion: City Council business. 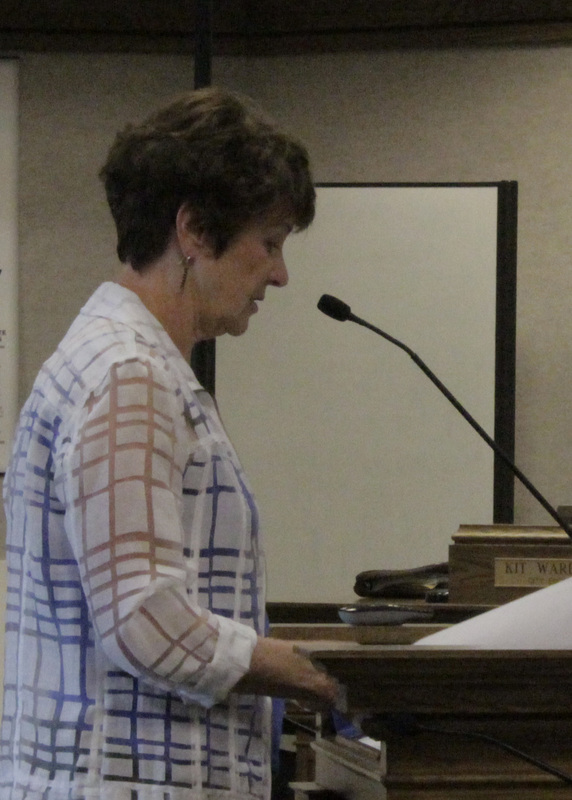 Representatives from both the arts portion and the parks and recreation portion of the Cedar City RAP tax board met with the council at the start of the night to share who applied for grants this year, what they asked for and why, and the committee’s recommendations. 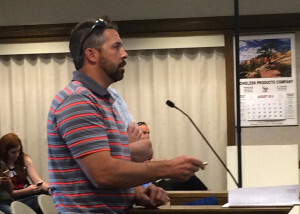 The Cedar City RAP tax is a 1/10th of 1 percent sales tax that is applied to all purchases made within city limits and then applied to improving and maintaining recreational, artistic and park opportunities within the community for residents to enjoy and to attract potential tourists into the area. The RAP tax funds are split into three segments: 10 percent of the overall fund is allocated specifically to the preservation and restoration of city owned and operated facilities that were created with RAP tax funding; two-thirds of the remaining funds are allocated to parks and recreation, and one-third is allocated to community arts. Arts Advisory Board Chair Joanne Brattain discussed the arts portion of grant recommendations. 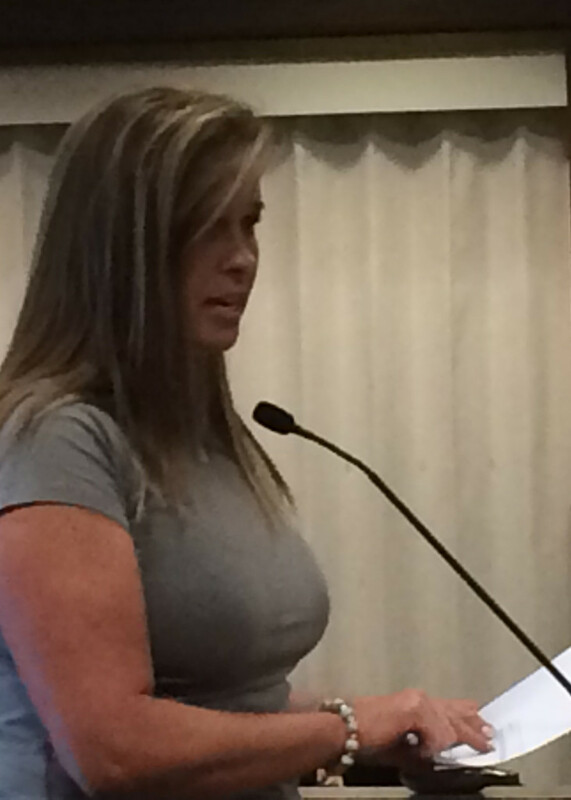 When the panel reviewed funding requests, she said, they took into consideration economic impact on the community, quality of life impact in the community, and financial viability combined with what percentage of the applying entity’s budget RAP tax would be funding. They received funding requests totaling $227,698 for 2015, Brattain said, but only $145,658.70 – 64 percent of the amount requested – was available to disburse into the arts community,. Regarding the $16,184.30 that is available in the preservation and restoration fund, Brattain said, there was only one request made by the Heritage Theater in the amount of $1,500, and the advisory board chose to recommend funding the entire amount. Mari Blazzard represented the parks and recreation advisory board. Parks and recreation had a total of $851,517 in grant funding requests, according to the recommendation spreadsheet, but only $323,686 was available to divvy up among the applicants. Applicants were considered based on the information they submitted with their grants, Blazzard said. 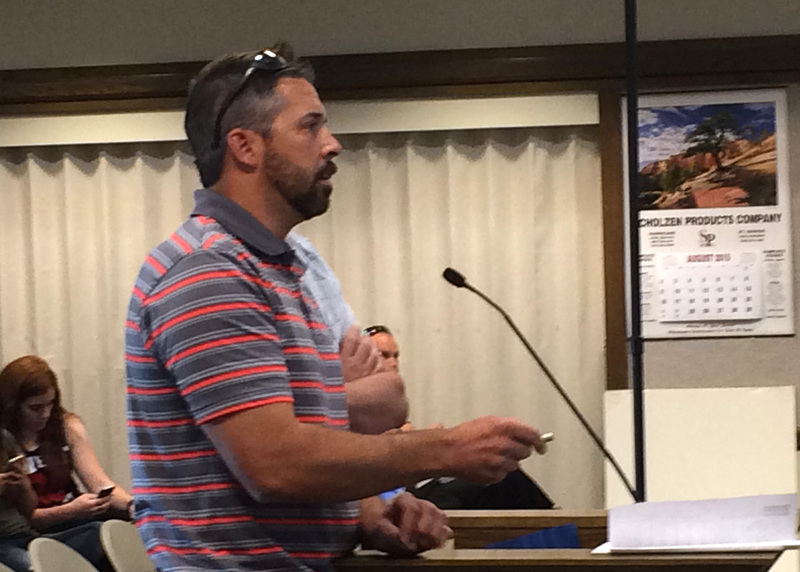 Engineer Tim Watson, of Watson Engineering, stood before the City Council and asked for final plat approval for the development on the south end of town by Comfort Inn. The entire plot of land will be divided into five separate lots and developed for commercial purposes, something which neighboring residents in the Cedar Knolls area have expressed grave concern about. Over the past months since final plat approval began, there has been a significant amount of controversy surrounding the development, stemming from concerns about sewage, water runoff and an increase in traffic in a currently low-traffic area. 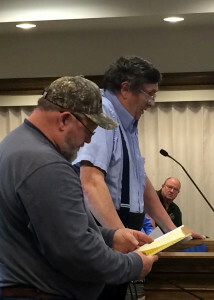 Residents Wade Grimm and Dana Haight, who live in the Cedar Knolls area, have brought concerns to the City Council on multiple occasions, asking for the council to deny the developers the city permission needed to begin work on the Windmill Plaza Subdivision. Both Grimm and Haight have said repeatedly in the public forum that they believe there are inaccuracies in information being presented to the city about the development, and they have alluded to possible illegal activity by landowners Windmill Plaza LLC – accusations they say they can prove. The mayor asked the residents to bring a list of allegations that can be reviewed by the city on an item-by-item basis, along with any evidence they have to back up their claims. After a meeting several weeks ago, however, Haight and Grimm have both expressed a lack of satisfaction about the outcome. At Wednesday night’s meeting, Holman read aloud the list of grievances submitted and addressed each one to Haight, Grimm, project developers and the council with a response from the city. Uncontrolled fill was just one of the many topics addressed throughout the heated discussion. 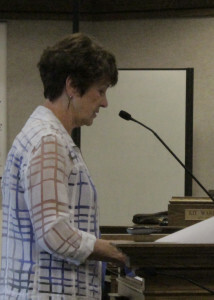 The culmination of the three-way tug of war between the city, residents and developers was that there was no viable reason to delay development of the Windmill Plaza Subdivision any longer, and the item was placed on next Wednesday’s consent agenda.